Your pet cat’s meowing is a usual way of them to communicate something, good or bad. However, excessive meowing can leave you perplexed wondering what could be the reason. 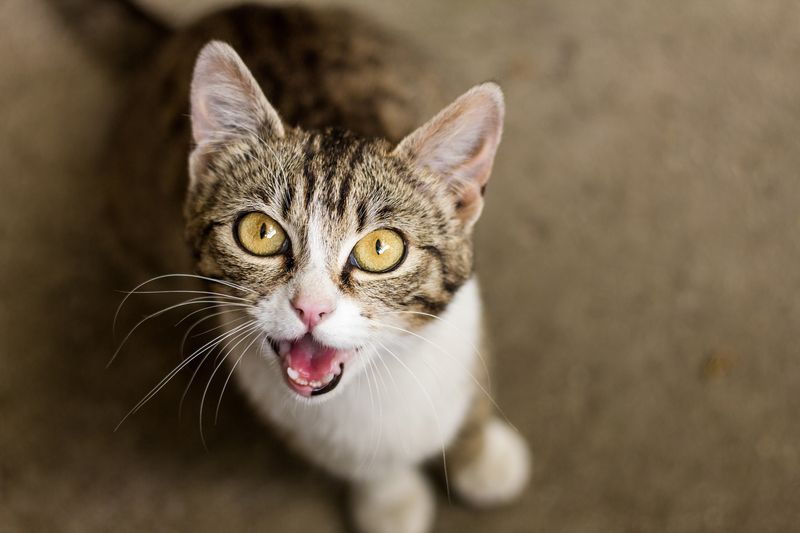 While the breed of your cat can help you understand this concern peripherally, there are certain factors that determine if the excessive meowing could be stemming something grave! Addressing the same concerns, here’s a lowdown on why cat’s meow, when do they, what you should do and what you should not do! Cat’s by nature have their own minds which also includes particular traits to gain attention and meowing or yowling are just some of them. Cat yowling, however, is mostly confined to communication between two cats and is more melodic as compared to meowing. Another notable characteristic of cat yowling is that it is commonly prone to the Siamese breed. Having mentioned that, you must also know that cats meowing sounds are again subject to their breed. Thus, if you have noticed your cat meowing a lot suddenly or the fact that your cat won’t stop meowing at night, the likeliness of the mentioned circumstances can be certain! Ensuring your little Tabby has everything at reach to make himself comfortable can greatly reduce the meowing. Placing a cat feeder with food in it is a great consideration as food is what consequentially results in most of the meowing. Sterilizing your cat will negate all the possibilities of meowing and distress caused by heat and mating. Last but not least, be there for your cat! Despite being extremely self-sufficient, cats being the moody little monsters that they are do need your attention when they feel like it! So a happy stomach, talk and cuddles are something you should shower them with, in case you start contemplating “why is my cat yowling”. The meowing can sometimes get a little too frustrating making you think hard “why is my cat meowing non-stop”! However, patience is the key. Refrain from any shouting back, tricks or extreme measures like punishing them. In a vulnerable state like that, doing any of this can develop a fear of you in them only stressing your bond. After having determined the pattern, you can then decide whether to give in to the meowing or ignore it should it have become a regular habit of seeking attention!